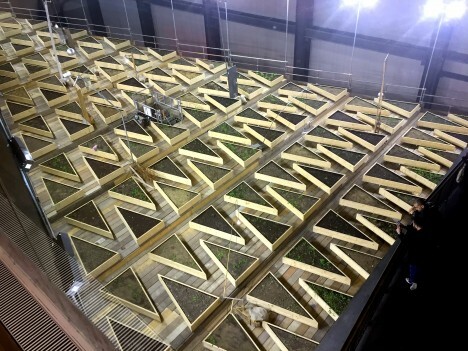 A recently-completed, six-month art installation in the Tate Modern imported soil from parks all around London, arraying them in the museum’s Turbine hall to show what weeds, grasses and ferns would grow from seeds and spores already present in the dirt. 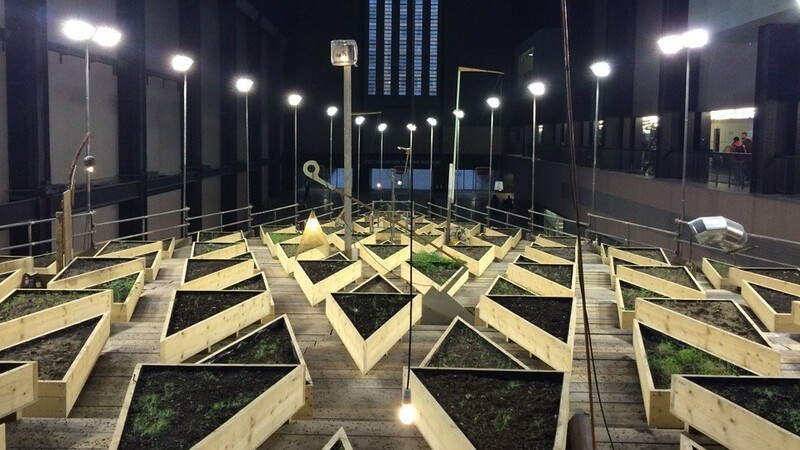 Empty Lot by artist Abraham Cruzvillegas involved equalizing conditions for the various samples of topsoil, which were evenly lit by lamps and consistently watered for half a year. 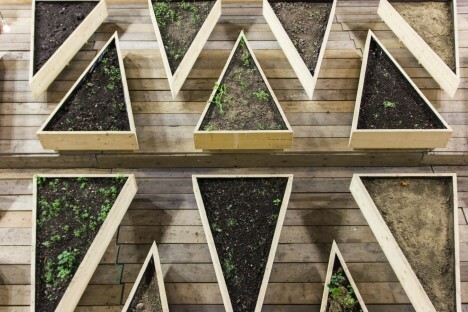 The installation was set up as a large geometric sculpture placed on scaffolding, supporting an array of triangular planters. 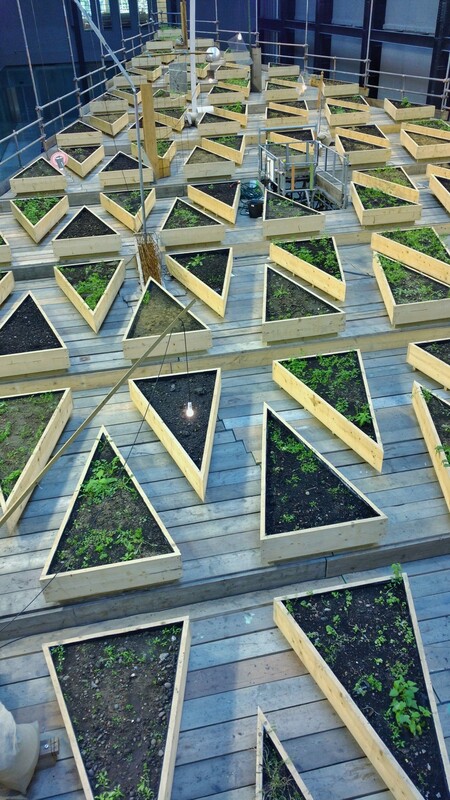 The samples were brought together from six parks, and kept separate between beds, growing in parallel.